This course is for beginners. 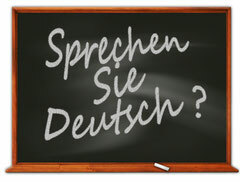 You will learn to use German in everyday situations. After the course you will be able to introduce yourself and other people, order food in a German restaurant, book a hotel in German speaking countries and much more. Your language competence and vocabulary will increase. Furthermore you will get to know the advanced german grammar.